Those certainly aren’t salad-making rodents. 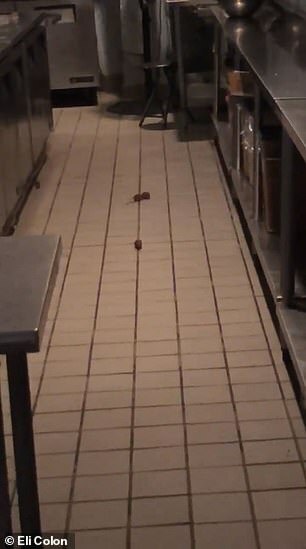 A shocking video shows a gang of mice inside of the Just Salad eatery at the Rockefeller Center in New York City on Sunday. 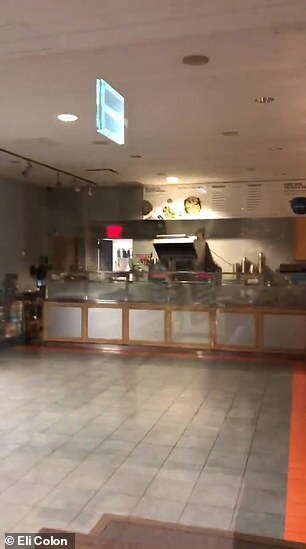 In the clip, posted by Eli Colon on Monday, the pesky rodents scurry around the salad closed store as the camera flashes over its A rating. 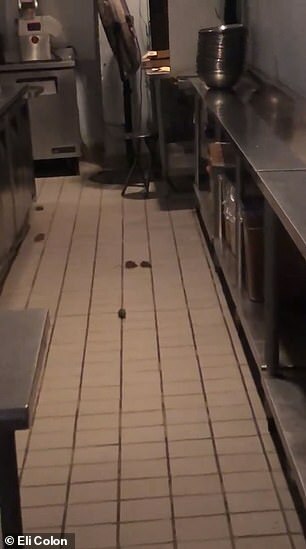 Colon, who had been eating at a nearby restaurant at around 7.30pm, zooms in on the mice – most of which are behind the main salad counter. 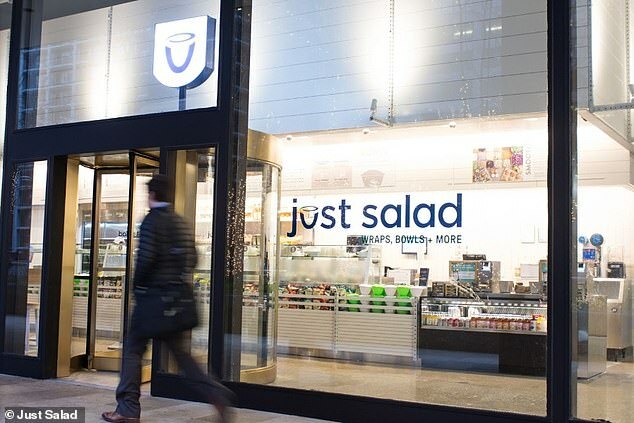 Just Salad CEO & Founder Nick Kenner released a statement, obtained by ABC13, stating that the store had been closed for the Thanksgiving holiday. ‘This location is underground in a concourse area prone to mice activity, he said. ‘We closed this store for several days to give our team the Thanksgiving holiday off and did not notice the issue in a timely matter. 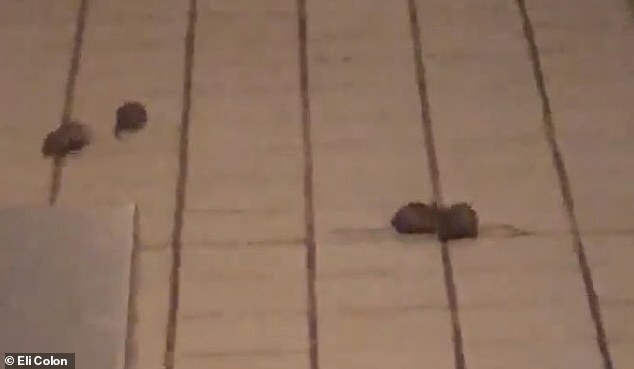 Rodent activity has been a struggle for the concourse area in general. ‘We are closing our 30 Rock location at the end of December and are excited to be moving it around the corner to a clean environment above ground at 52nd St. between 5th and 6th Ave. 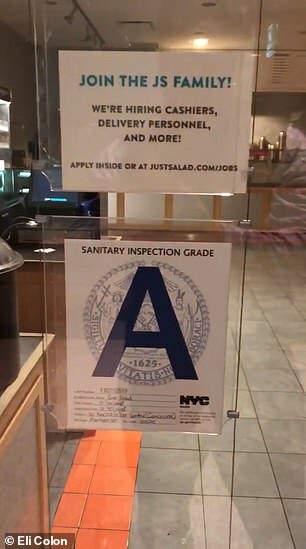 The Rockefeller eatery was last inspected on October 30 and received an A grade.